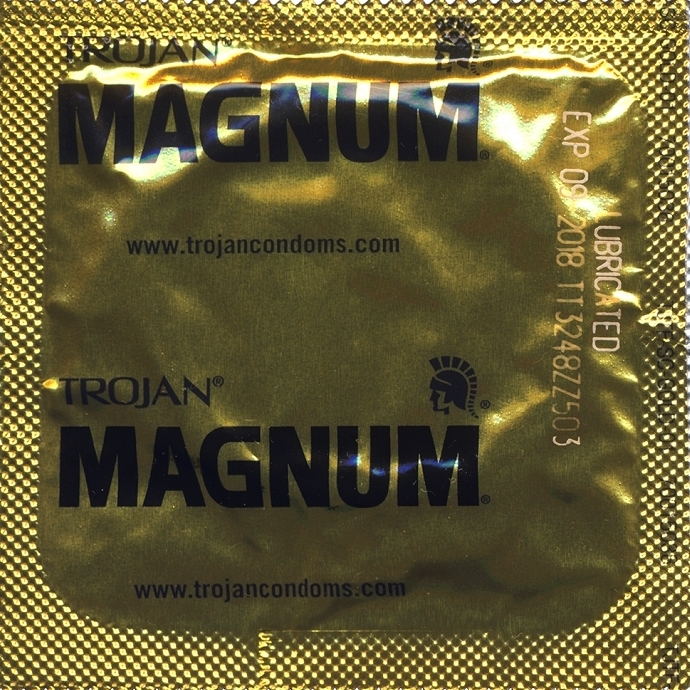 Trojan Magnum. 15% larger than regular condoms. Tapered at the base for a more secure fit. Lubricated, with a special reservoir end.